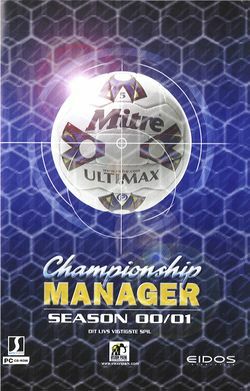 Championship Manager: Season 00/01 is a soccer managing video game. Ten more playable leagues were introduced for this version, including Australia, Greece, Northern Ireland, Russia and Wales. It was also the first version of the game to come with an official data editor - something which has been continued for all subsequent versions. This page was last edited on 9 May 2009, at 22:15.